Emergency doesn’t knock before coming. May be you are facing some unforeseen breakdowns, which has taken your sleep away. Don’t worry; A to Z Plumbing Services is here to help you out. Just place a call to us at any point of time, and we will pull you out from all those plumbing related craps. Not only that, we will minimize your stress by providing you with the most advanced equipment and; skilled and professional workers, who will handle your problems with care. Whether you need a toilet to unblock or your bathroom is flooded, we will take care of everything. Well, you can see that we provide each and everything when it comes to the residential plumbing services. And, if you cannot look at your problem in the above-written list, then don’t worry. We can also fix those because our workers are very efficient and experienced as they are working on it for several years. So, without any further hesitations, just come to us at any point of time, and we will take charge of the situation. When, you need to call us? Frozen pipes: It is one of the most common plumbing emergencies, which you will find. During the winters many pipes tend to freeze and eventually burst. To handle, contact us and we will be there on your door in no time. Gas leaks: If you can smell the gas call us as soon as possible. The deadliest among all, gas leaks need to be handled very carefully and safely. In that case, we have workers who will maintain each and every safety parameters and will pull you out from that situation. Blocked toilets: Imagine a house, where the toilets are not functioning properly. Under no circumstances, you can live in that house. So, make sure to contact us, and we will be there in no time to take care of your toilet problems. As a privileged customer of ours, you will get every benefit. You will not get a single chance to complain about us, and that is the reason we claim to be the best residential plumbing service provider. 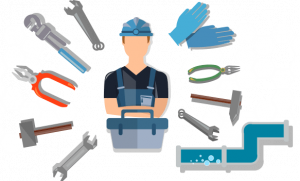 As discussed earlier we have state of the art, dedicated workers who are capable of fixing any residential plumbing related issues. The best thing about our plumbing service is the budget-friendly pricing. You don’t need to worry much about the hole in your pocket. In case of emergencies, you will be at the top of our priority list. So, without any confusion, you can come to us and rely on us at any given hour of the day, which we have mentioned several times as we are a 24/7 service and we will be there to help you out within a short period.